After acquiring the official approval from the Ministry of Broadcasting and Communication in Kenya in 2008 and securing land, building, and facilities, the GBS TV broadcasting station was established to launch both analog and digital broadcasting. At present, it is operating a broadcasting academy to cultivate local workforce. 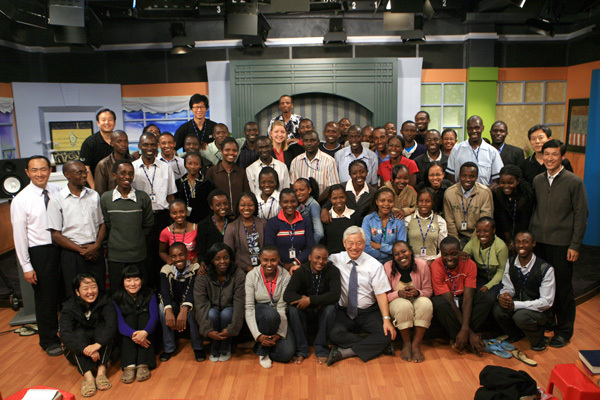 In future, GBS aspires to expand to entire Africa through mission and Korean cultural programs. In South Korea, Good News TV (the GNN Broadcasting Station), which is the parent body of GBS, supports to air Pastor Ock Soo Park’s sermons via satellite broadcasting and cable TV abroad, including the United States. In addition, GNN TV produces and distributes Pastor Ock Soo Park’s world-tour bible seminars in video.